You can't be too careful as a homeowner these days, because there are unscrupulous lenders just waiting for you to make the wrong move. Like everything else financial, lending to homeowners has not only become a huge business, but it also has become more sophisticated. Should you need either a home equity loan or line of credit or just a home improvement loan, be wary. Some lenders are in cahoots with home improvement contractors; and in many cases, the contractor will receive kick-backs from them for referrals. Those costs will be covered by the fees, the interest rate or both by the lender, which means that you will pay more for the work done by that contractor. In addition, even though the contractor knows that the job will be financed, he will give you an estimate for only the work he will do, and the substantial financing costs will not be included. Some lenders will encourage borrowers to make false statements on the application because they want to make the loan even though you may not have the credit to support it. First, you will be breaking the law and will be subject to severe penalty. Second, if you are unable to make monthly payments for whatever reason, the lender has the right to foreclose on your home, regardless of how much you may owe. The amount of money you are offered may be more than the cost of the home improvement job. This may result in a monthly payment that is higher than you can pay. Once again, if you miss payments for any reason, the lender can take your home away from you, so be cautious. Some lenders will offer a home equity loan instead of a home improvement loan so that you can consolidate other debts at the same time. Further, those loans will require a lower monthly payment because they are for a longer duration; or the lender will charge you less, but will extract a balloon payment from you at the loan's maturity. You will pay far more interest on that type of loan, and the lender has the right to foreclose on the property if a monthly payment is even one day late. Such a loan is secured by your house even though it was made to pay bills that were unsecured like credit cards or store credit. Let's say that you have difficulty making your monthly payments and the lender forecloses. 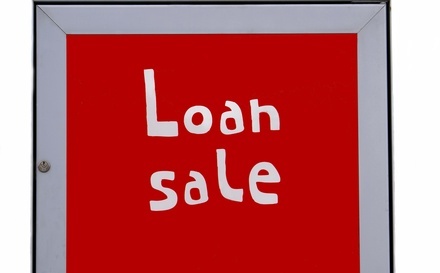 There are other lenders who may offer to "rescue" you with a loan to pay off the original lender. Characteristically, those loans carry a high interest rate and the monthly payment may exceed your ability to pay. The chances are good that you will also default on that loan, and the lender will use part or all of your remaining equity in your home to satisfy his loan.